Here in insurance we have a number of different kinds of life policies. The choices we have are vast which results in confusion while choosing which kind of policy one wants. Here when one is faced with a greater number of choices greater is the chance he will make the wrong one. So how are you going to make the right decision? Will you be just another face in the crowd…If not read about Insurance Planning at IndianMoney.com. So what is a term life policy? This is mainly a life insurance policy which provides coverage at a fixed rate of payments called the premium for a fixed duration or a time limit. Here term life insurance is a pure insurance policy where 100% of the cost of premiums is applied for the cost of insurance. 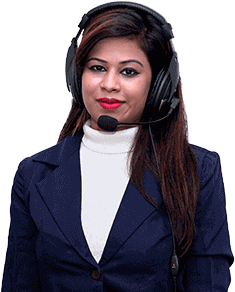 If you find this information useful you can explore our unique Free Advisory Service just by giving a missed call on 02261816111 for your Insurance and Financial Planning needs. Here the insured can opt for a single premium or regular premiums which have to be paid lifelong. This policy is valid for the whole life of the user. This is as long as the policyholder is alive. Here the sum of money is accumulated and the bonus is paid to the beneficiary on the death of the policy holder. The policyholder is not entitled to any money during his own lifetime. 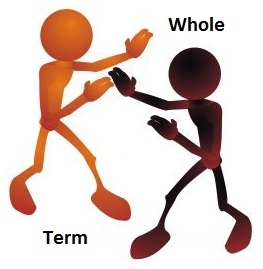 Whole life policy combines a term policy with an investment component. The policy builds cash value which one can borrow against. However here one must remember that whole life policies are expensive as the premiums charged also include the investment component , which has to be paid out on the death of the policy holder. Generally the premium for whole life insurance remains constant during the entire term of the policy and the policy holder gets life cover throughout. The premium terms differ, ranging from single premium payments for a whole life policy and there are riders such as accident benefits available on whole life insurance We know that human tendency is to admire complexity but reward simplicity .We aim to simplify your needs by asking you to look up the website IndianMoney.com for your Insurance Planning needs. Here premium is paid in a lump sum. This policy enables the life assured to pay the premium during the most productive years of his life relieving the person of making payments in the later stages of his life when they might become a burden. The profit sharing option is available where the policy holder shares in the periodical bonus distribution until the death of the policy holder. The without profit option is also available. Survival benefits include the sum assured and any accrued bonuses payable on attaining 80 years of age or on the expiry of term of 40 years from the date of commencement of the policy whichever is later. Sum assured and any accrued bonuses paid on the death of the policyholder. The policy may be surrendered after it has been in force for 3 years or more. The Guaranteed surrender value is around 30% of basic premium paid excluding the first years premium. In case of single premium the guaranteed surrender value is 90% of the single premium paid excluding any extra premium charged. Premium paid under this policy are tax exempt under section 80C and maturity proceeds are tax exempt under section 10 (10D). Term insurance is simple and cheap. It is basic insurance with a pure protection policy. The premiums for a Whole Life Policy are around 4-5 times higher than the comparable term policy for the same death benefits. Whole life policies have a history of being pushed through by insurance agents because of higher commissions. Here some families end up paying for the wrong benefits. A family’s main concern should be the maturity amounts payable on the death of the primary breadwinner. Any cash benefits and investment benefits are secondary. Here since premiums for term plans are cheap the difference is easily available for investments which would give higher returns than say a Whole Life Policy which combines protection with a cash value. Here let us consider a case where a person wants to leave a huge legacy for a disabled child. He would take up a Whole life policy where on his death , the disabled child (beneficiary) gets the sum assured as well as the accrued bonus. Here let us consider a case where one of the parents has a genetic disorder which has a high chance of being passed on to their children. Here if the person takes up a term policy and does not die for a certain number of terms he would land up paying a higher premium as the term comes up for renewable. On death the amount obtained would be very less compared to a cash value plan such as a Whole Life Policy where he gets death benefits and an accrued bonus. Wealthy people can use whole life in their estate planning by setting up an insurance trust that will pay their estate taxes from the proceeds of the policy. Here one can continue the debate endlessly as to which policy is better for a policy holder without arriving at any rock hard conclusion. Each insurance policy has its own benefits and one should pick up such a policy based on ones needs .Here needs of individuals turn out to be different based on different circumstances. Hence one would be wise to choose a policy after through online research , based on ones needs and gain Financial Knowledge in the vast field of insurance. I would like to end this article by stating that although our time is finite the demands made on us in our finite lifetime are infinite. Here is something for you to ponder..In Winter Why Do We Try To Keep The House As Warm As It Was In Summer…While In Summer We Complained About The Heat. You can post your suggestions on various kinds of insurance policies on the website IndianMoney.com.